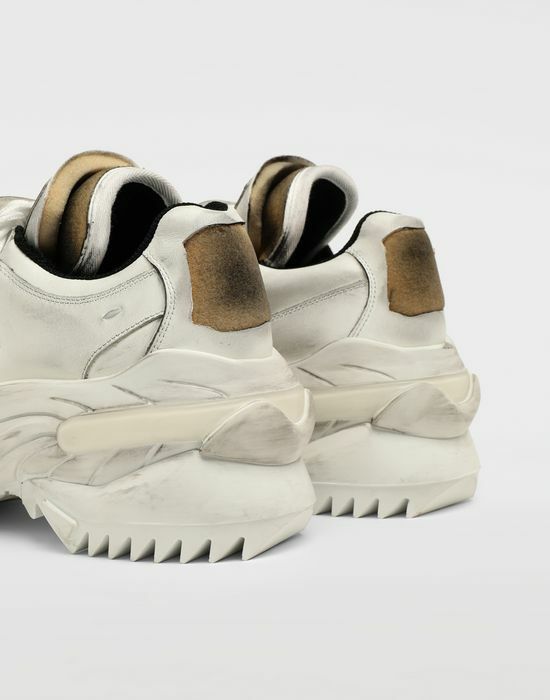 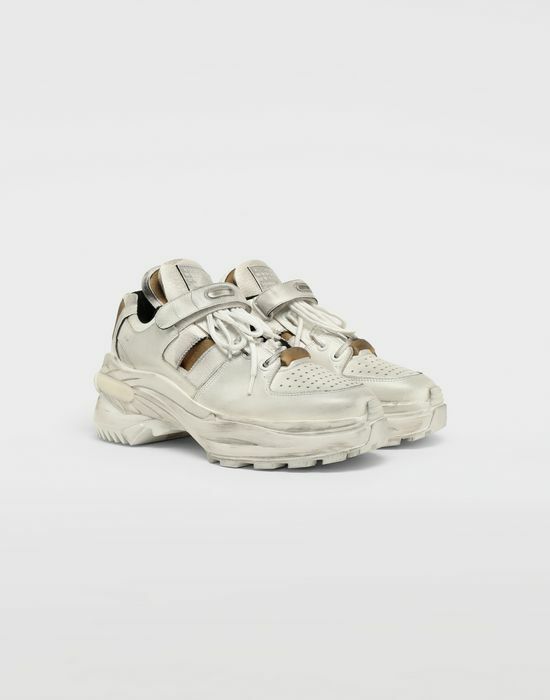 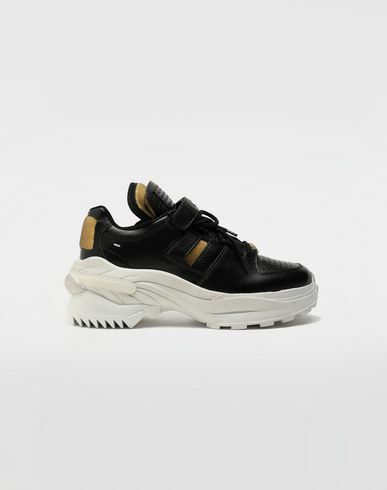 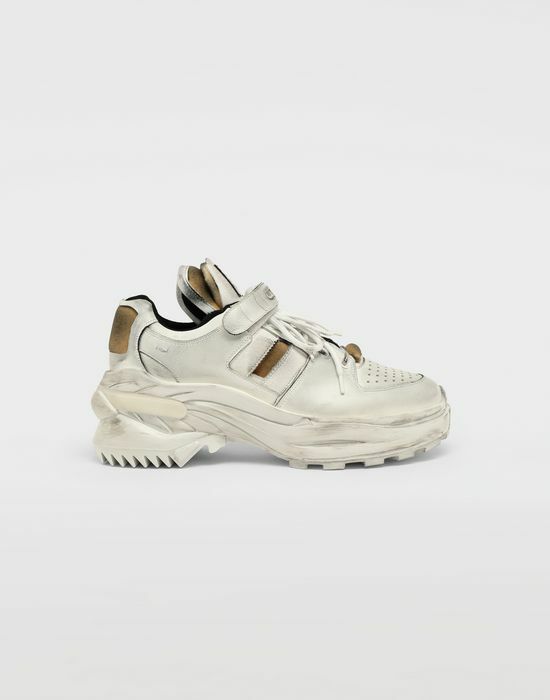 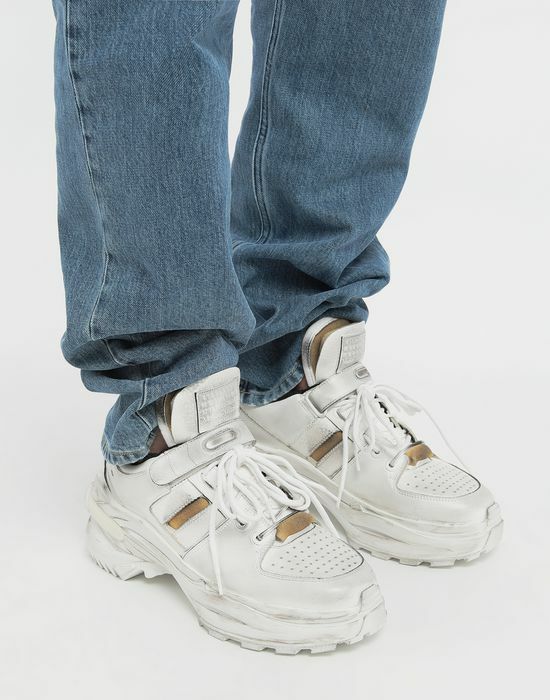 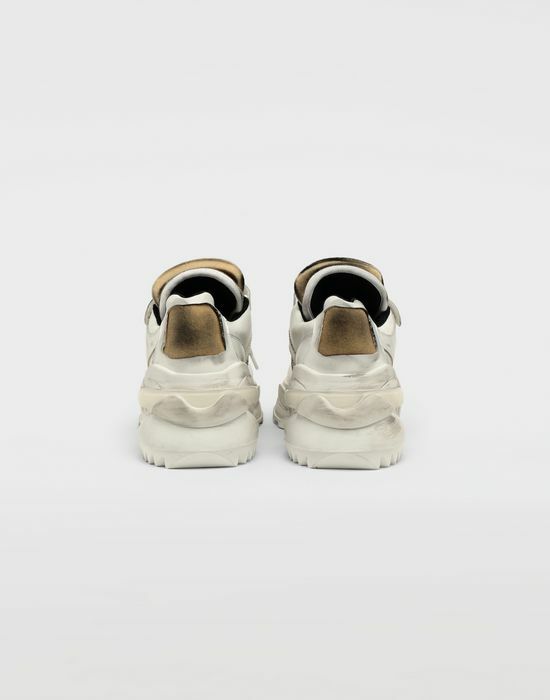 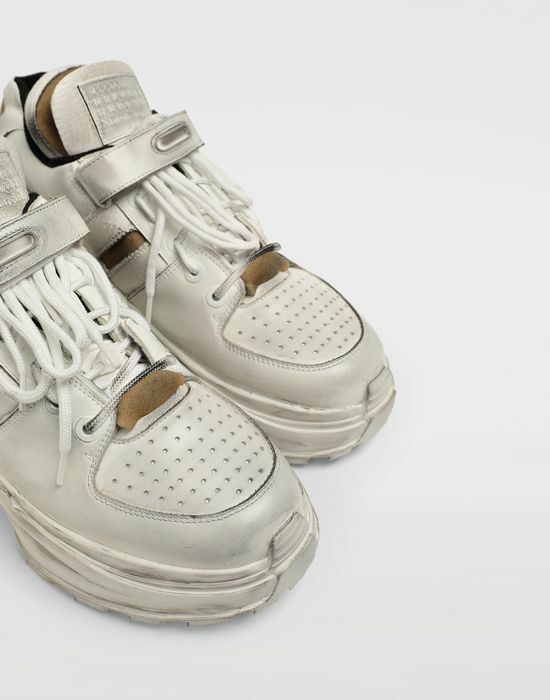 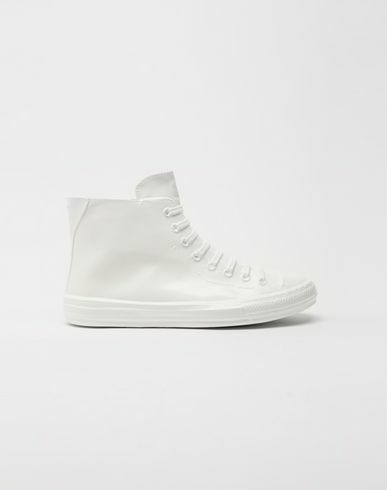 Part of the Maison Margiela iconic line, these 'Retro Fit' leather sneakers in white colour feature décortiqué details allover, with black inner soles and trim. 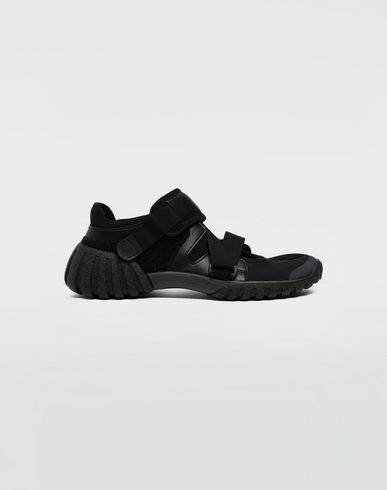 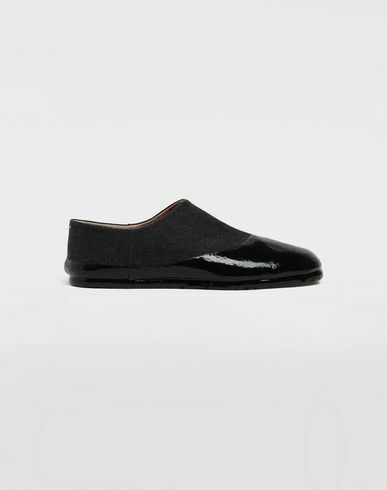 The pair is purposefully cut-out and scuffed for an 'undone' finish. 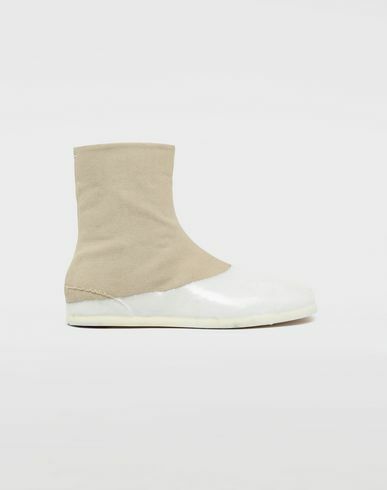 Its sponge inserts have been hand-dyed, propelling these iconic sneakers into a retrofuturistic mood.